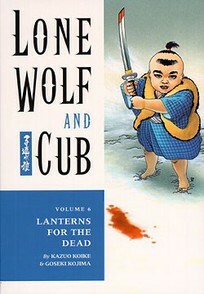 The legend of Lone Wolf and Cub continues to grow in this latest chapter of Koike and Kojima's epic samurai masterpiece chronicling the wanderings of Japan's deadliest assassin, Itto Ogami, and his infant son, Daigoro. In this volume, Ogami takes on the most dangerous killer of the countryside, foils the plans of a deceptive gambling troupe, tricks an evil lord into exposing his weak underbelly, and pits himself against the Shogun's dangerous and deadly Kurokawa ninja! Drawing extensively from Sun Tzu's The Art of War, and featuring the saddest puppy-dog story ever published, this must-have volume is packed with action and emotion.